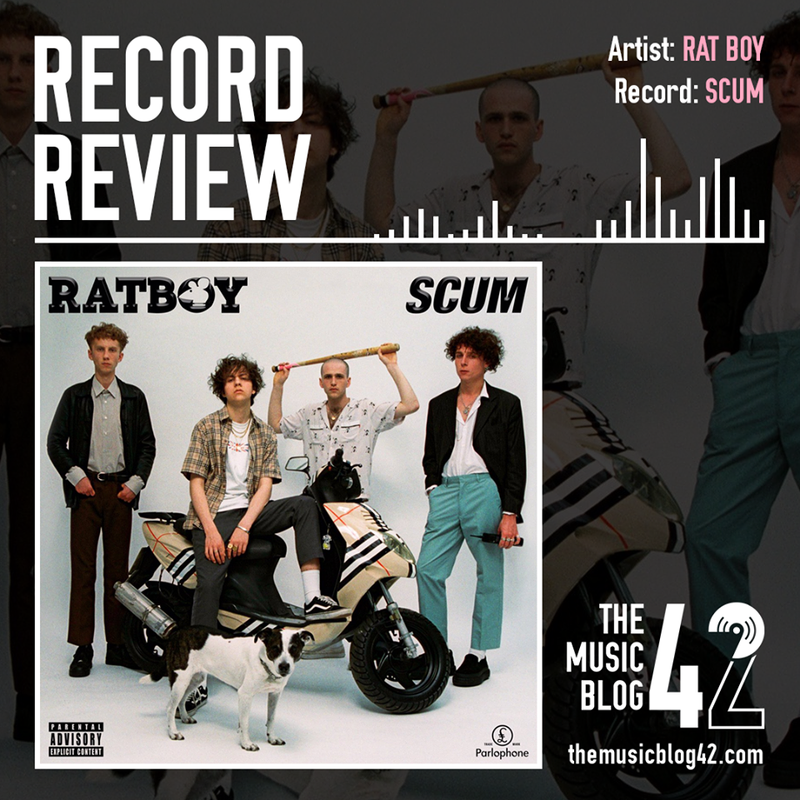 Breakthrough sensation RAT BOY has released his long-awaited full-length debut record SCUM. And all I can say is WOW. I can honestly admit I had very low expectations for this record… Although RAT BOY (real name Jordan Cardy) had released some great singles that feature on SCUM, examples being the hit single SIGN ON and the boisterous MOVE, I think it’s because I hadn’t been exactly overwhelmed by a British ‘guitar’ record for quite a long time. After listening to this, I definitely was. This record instantly proves why Cardy won the Best New Artist award at the 2016 NME Awards. This is the indie social commentary record we have needed for some time, in which he covers the ‘generation divide’ in REVOLUTION, and homelessness, the Government and global issues in BOILING POINT. There are some great individual tracks on this record, notably the tracks KNOCK KNOCK KNOCK and SPORTSWEAR. However, the real MVP here is the incredible LAIDBACK, possibly one of the best indie tracks of the past few years, a world away from some of the more heavier tracks on the record. It’s a pleasant surprise how good SCUM is, and it proves that RAT BOY is definitely the next big thing in the indie world. The record proves it with instantly recognisable tracks that are so unique to what is currently on the market. A real one to watch in the future, this guy will be huge in years to come.